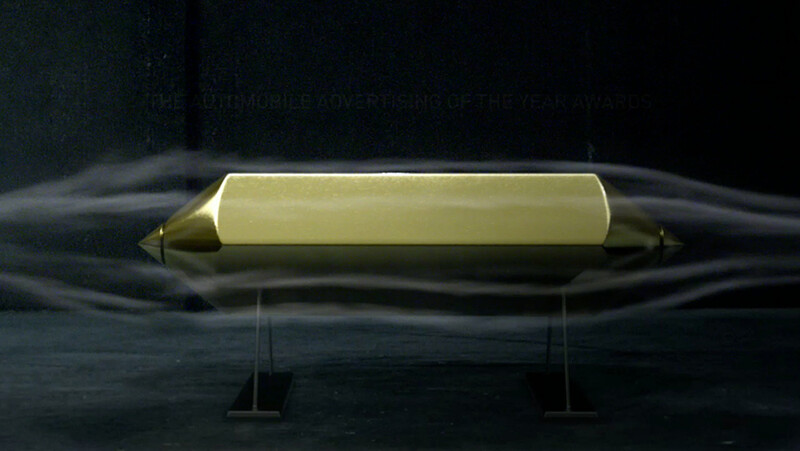 The Mill teamed up with creative director Jason Koxvold of Hudson Rouge on the 2014 opening for 'The Automobile Advertising of the Year Awards' with The One Club. The spot played live, introducing the 2014 awards show. It shows the many components of the engineering process, with the iconic One Show gold pencil as the finished product. The Mill's CG team created turbines, which were modeled after jet engines, smoke effects from the turbines, and the gold pencil. The color team created the dramatic and moody look and feel for the final grade.